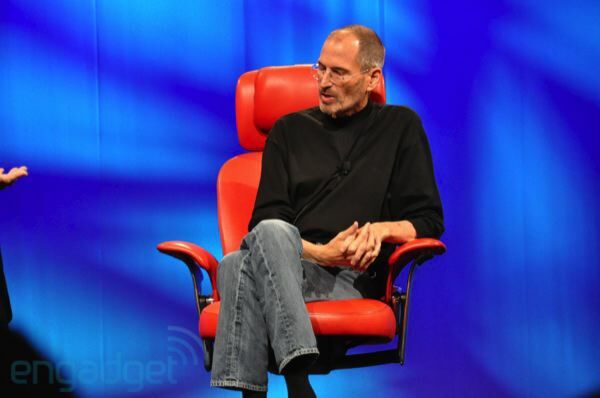 Steve Jobs at D8: All you need to know. 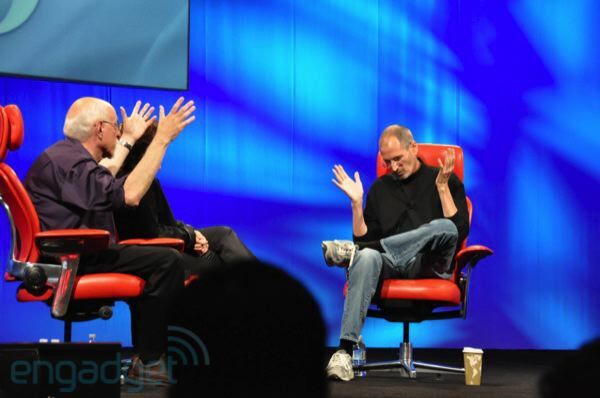 Apple CEO Steve Jobs took to the stage tonight at D, the conference for All Things Digital. In his usual candid tone, Jobs addressed a number of questions, and left us with some memorable quotes. Here’s a summary of the topics from this year’s interview but first up, a summary video courtesy of All Things D.
Jobs stated that, when he returned to Apple, the company was 90 days from going bankrupt. To take a company in that stage, then turn it around to surpass Microsoft is no small feat. He then used this line of conversation to talk about Apple’s ethos, and the idea that the company simply wants to build the best products possible. While building the best possible products, Apple has had some major issues lately with the press concerning suicides at Foxconn. Jobs addressed these concerns, showing a humanitarian concern for the employees. “Foxconn is not a sweatshop. They’ve got restaurants and swimming pools. For a factory, it’s a pretty nice factory. We are on top of this. We look at everything at these companies. I can tell you a few things that we know. And we are all over this”. One of the longest sections of Jobs’ interview talked at length about Google. Jobs confirmed that Google services would stay on the iPhone, but also conceded that Google “decided to compete with us… so they are”. Jobs attributed the competition to the marketplace. He states that Apple’s desire is to make better products and that if they do, they get to come to work tomorrow. One of the hottest topics of the evening was Jobs speaking on Flash. According to Jobs’ recount, Adobe threw the first punch. Again Jobs pursues the idea that Apple wants to build the best products by using the best resources. He very firmly stated that he didn’t feel that Flash was the best resource, opting instead to highlight the features of HTML5. In case you missed it, the iPad is doing pretty well. I believe that’s putting it lightly enough. 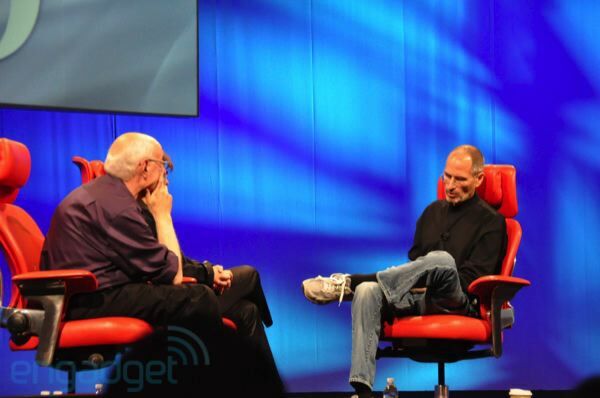 Jobs didn’t miss the opportunity to talk about his beloved device, including giving a bit of history on it. Questions still remain as to the App Store approval process. 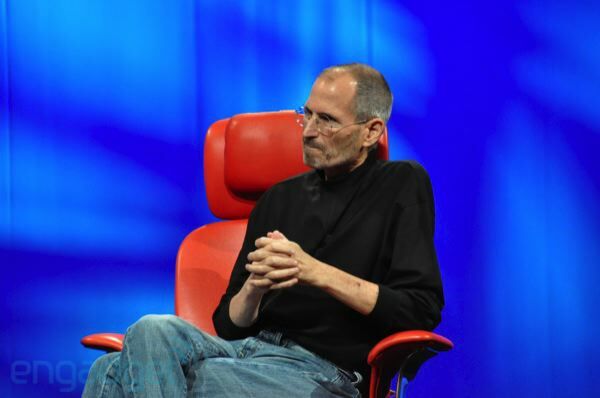 But Jobs took a very candid moment to talk about the pitfalls of doing something new. He spoke of two separate platforms that are supported: HTML5 and the App Store. When it came to the application approval process, Jobs pointed out that Apple approves 95% of apps, but they have made some mistakes and are working to correct them. With this in mind, Jobs addressed the iAd platform, and stated that the primary reason for it was simply to make money for application developers. Jobs pointed to the idea that mobile users tend to use applications more than search so, if you wanted to provide money in a mobile environment, you had to provide advertising within the applications. A good number of Jobs’ comments, though related to certain products, serve as a reminder of how Apple chooses to do business. Referring to the debacle of the lost iPhone prototype, Jobs stated that he was told that he should let it slide and not dig more into the problems. Small comments can sometimes speak volumes about a person. And when it comes to Apple, there is simply no other company that runs by a set of values so strongly tied to one person than Apple does. Overall, a great couple of hours spent with the mind of Steve Jobs. With WWDC coming soon, we’re sure to see some major announcements and I think that we have had some previews of those tonight. From TNW, we’d like to extend a massive thank-you to both Ina Fried from Cnet, and Joshua Topolsky from Engadget for their stunning coverage of the speech.